Given my career path and general food obsession, it is probably unsurprising that growing up I was just as likely to be curled up reading a cookbook from cover to cover as I was a novel. Our house was always overflowing with books and the kitchen was no different. The cookbook collection extended far beyond (but inevitably included) the staple Delia Smith and Elizabeth David, and it was in this ever expanding collection that I really fell in love with food. A great cookbook does so much more than give you practical recipes, it is a window on a country, a cuisine, or a way of life. I loved nothing more than to lose myself in the pages of a book about food we didn’t cook much at home, familiarising myself with strange, exotic ingredients that I had never seen before and drinking in photos of dishes I had never heard of. When I was twelve my dad bought me a book that bewitched me as soon as I laid eyes on it. It was the intoxicatingly titled ‘Crazy Water, Pickled Lemons’, the first book by the wonderful Diana Henry. This beautifully written and photographed collection of recipes from the Mediterranean, Middle East and North Africa kindled an obsession with the heady and exotic sunshine food of this region that still permeates a lot of what I cook today – how could anyone resist such mysterious and poetically named dishes as ‘Ottoman Lamb with Sultan’s Pleasure’ or the titular ‘Crazy Water’?! 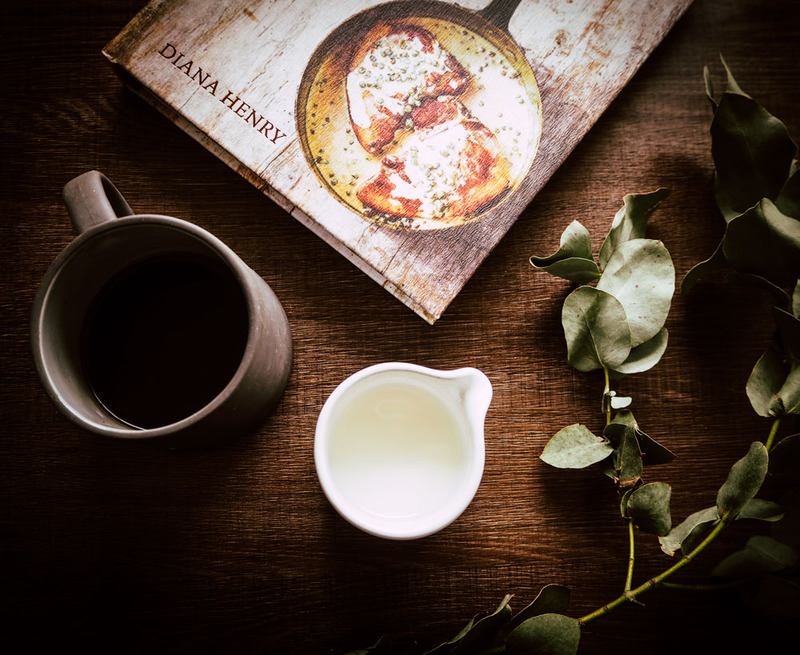 I have adored Diana Henry’s books ever since, and ‘Simple’ – her latest addition to my own (now colossal) cookbook collection – is no different. 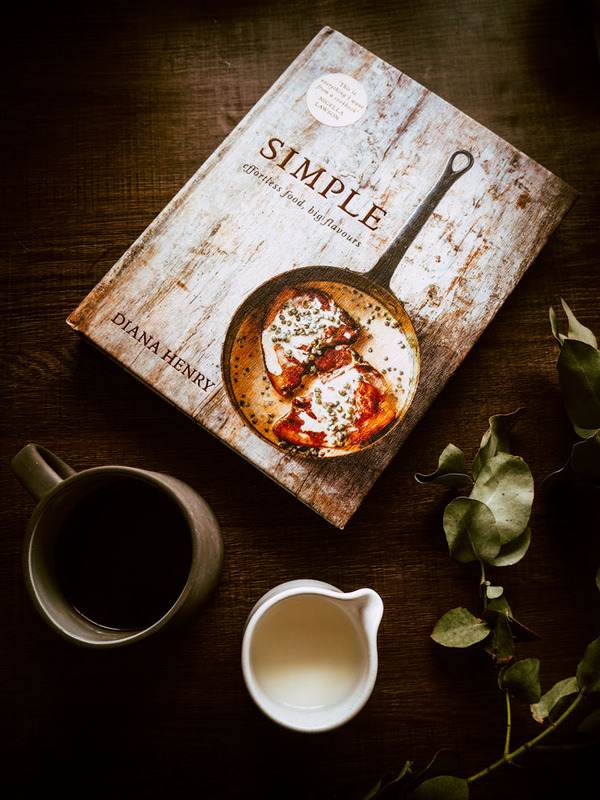 This beautifully written book is packed full of interesting, easy to make recipes that certainly don’t compromise on flavour. From stunning toppings for toast to myriad ways to transform the humble sausage into something spectacular, these recipes bring home the fact that cooking need not be complicated and time consuming. It is about taking a select few, complimentary ingredients and showcasing them at their very best. The linguine all’amalfitana – a tangle of garlicky pasta, chopped walnuts and anchovies, ruby-flecked with chilli flakes – is decadent and complex tasting, yet ready in mere minutes and the roast apricot and orange blossom fool is fragrant and frankly unbeatable. Whether you are looking for unique and showstopping, yet stress-free dishes to serve at a dinner party or are just on the hunt for something different to cook on your average Tuesday night, this book has it all, and frankly the stunning photography and Diana Henry’s magical way with words make it a great read full stop – even if you aren’t planning on heading into the kitchen! One of my favourites from the book is the recipe for spelt with blackberries, beets, walnuts and buttermilk. 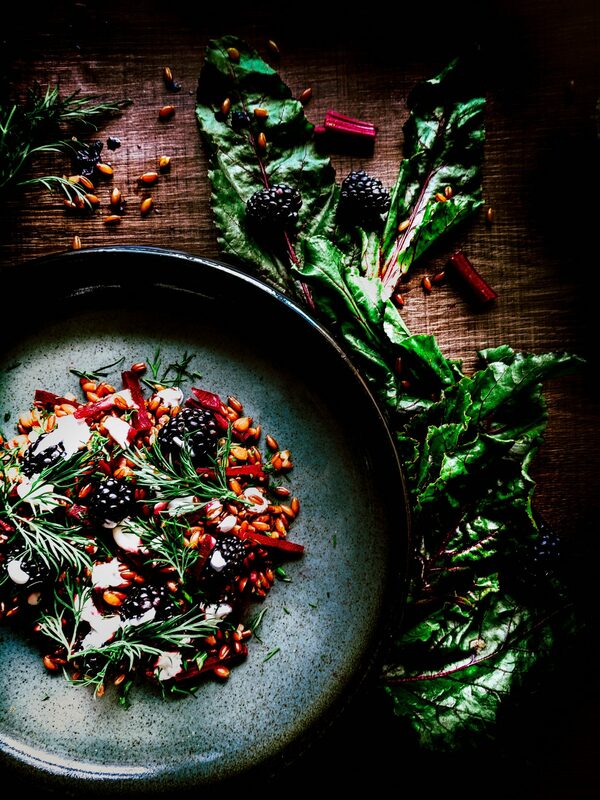 This lightly spiced grain bowl, inspired by the fascinating food of Georgia, covers all the bases when it comes to texture and taste – the warmth of cayenne and coriander is offset with a cooling, garlic-laced buttermilk dressing and the fruity, autumnal tang of blackberries sits happily alongside the earthy mellow of beetroot. 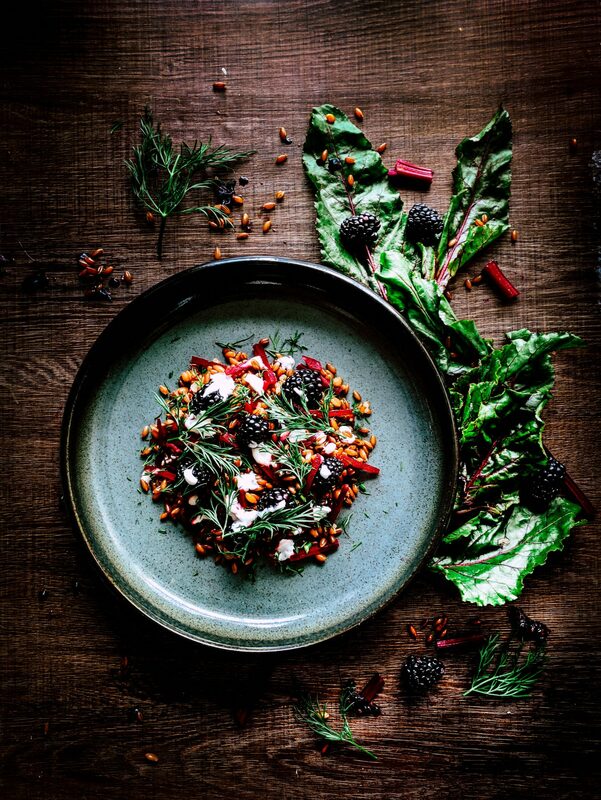 All this is deliciously finished with the crunch of toasted walnuts and a scattering of coriander and dill to make a comforting and wonderfully different bowl of grainy goodness.